Description: The pigeon pea is one of the important pulses in India. Pigeon peas are both a food crop (dried peas, flour, or green vegetable peas) and a forage/cover crop. The fresh leaves are used as a vegetable. Pigeonpea is widely known for its use as food in the form of immature pods, immature seeds, and the mature seeds. The seeds are used whole, dehulled, or ground to a flour. In the Caribbean, people often eat the seed as the green (immature) pea, but it is mostly processed into a dried split-pea (“daal”). The dried husks, seeds and broken dhal are used as cattle feed in India. In India, Pigeonpeas are blended with lentils to make daal, a popular soup-like lentil dish. African cuisines often prepare pigeon peas with a coconut broth and peppers and in Ethiopia, the young shoots and leaves are cooked and eaten. Pigeon pea is originated from Asia and travelled to Africa. Pigeonpea is considered as an environmentally beneﬁcial plant as it can enrich soil and also used for intercropping and agroforestry to shade young coffee trees and forest seedling nurseries as a windbreak. It is also an ideal foraging crop for honeybees. Largest producers are India, Myanmar, Malawi, Uganda & Kenya . Pigeon pea: Hector Valenzuela and Jody Smith, Departments of Tropical Plant and Soil Sciences and Natural Resources and Environmental Management. "Effect of Sprouting on invitro digestibility of some locally consumed leguminous seeds". Journal of Applied Sciences and Environmental Management. Vol. 10, Num. 3, 2006, pp. 55-58. 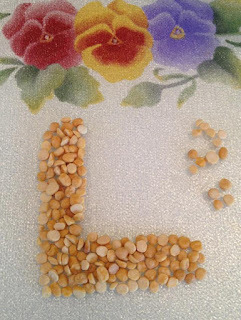 "http://nutritiondata.self.com/facts/legumes-and-legume-products/4369/2:"Nutrition Facts and Analysis for Pigeon peas (red gram), mature seeds, raw".